Thank you very much Christine for handling all details for our Globus tour in Greece. Our travel agent retired and told us to call Christine from your agency. Christine helped us with all of our travel plans and answered all our questions. We will definitely call her again when we take our next trip. Thank you for the $250 on board credit. We are very satisfied with the service we have received. Christine is always willing to answer any of our questions. Christine and support staff are excellent. Christine Erwin has been very instrumental in assisting me with all of my travel needs. She is pleasant, professional, friendly and also responds promptly to any of my inquiries. I have referred Christine to my friends and family for their travel wishes. She is truly a great asset to the company! Thank you, Pavlus/Globus, for continuing to make all of my travel dreams come true!!! Excellent travel resource and pricing. Our trip to Cuba was wonderful. The day before our trip I called Christine as I hurt my knee and required a wheelchair at the airport. She took care of everything and having a chair waiting for me for each leg of the trip was a huge help to me. Everything about the cruise met or exceeded our expectations. Wonderful trip and we were happy receiving a check! Christine did a wonderful job to get our 5 night Royal Caribbean Cruise on the “Navigator of the Seas” together. She was prompt in making sure all the details were answered and taken care of . We are so glad to have found Pavlus Travel as we were offered onboard credit via booking with Pavlus. We will definitely continue to plan our future travel plans with Pavlus!! In fact, I have two more upcoming trips with Pavlus this year!!! Keep up with your wonder service!! We joined Globus’ Tour of the Tournament of Roses Parade. 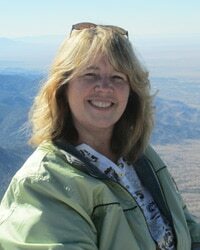 Christine previously arranged our group’s Mexican Riviera Cruise, then our tour of Route 66 with the Hot Air Balloon Fiesta. We were impressed with Christine’ s efficiency in arranging our tours. She even met us in Albuquerque while we were there. We’re very satisfied with Pavlus Travel. We have a future tour arranged by Christine. It’s the American Queen Steamboat River cruise in June together with some of our friends we met at the Route 66 tour. Your price compared with other travel agencies is another reason we chose Pavlus. Thank you. Vacation was great. Christine was very helpful in getting us a cabana rental and arranging for our dinners with my sister who was traveling with us. My wife, Nancy and I have been very pleased with the service we have received from Pavlus Travel. Christine has provided us with excellent service and has truly walked the extra mile with us. Always excellent service from Christine and rest of staff. My friends and I arrived home safely last night. Our Pavlus tour ended on Sunday 14 Oct (I think). We had a great time. All the Pavlus organised inputs for the 3 legs of our tour (Globus, Holland America, Cosmos) were well planned and we had no issues. The vacation to Israel was nothing but rave reviews. Pavlus staff was great…helpful in every manner from start to finish. They delivered what they promised…exceptional customer service. Prices are excellent. Information very accurate. Love the rebate approximately 3-4 weeks prior to trip. Very satisfied with our Tour. Christine is very organized and efficient. Christine did a great job in assisting us with our travel plans, supported by the Pavlus airline and hotel reservation groups. Thanks everyone for doing such a great job! And yes, we will definitely plan to use the travel services of Pavlus in the future. Everything went smoothly, we were very happy with all aspects of the vacation. I have already e mailed Christine about pricing for a future cruise that we are thinking about taking. Wonderful vacation and great service. Wonderful trip. Christine did a great job with the plans.she has planned several trips for us and we have always been very pleased. Trafalgar tour – Best of Italy – was wonderful. Christine was very helpful with our planning. First-class, professional travel agency in every regard. Looking forward to a 2019 Viking Cruise in China or on the Rhine. This was my first time using Pavlus, a recommendation from my newly retired travel agent. Christine was my new travel agent who was recommended. I was most pleased with her attention to our itinerary and concerns. I would certainly use Christine again, and I would definitely recommend her. She excels in her communication skills as well. Christine has always been very accommodating & helpful. She has taken care of my travel for a few years, & I am more than pleased with her proffesionalism. We had a fabulous time on our Gate 1 tour to Tanzania. This was our first booking with Pavlus Travel and we will definitely book another tour with Pavlus Travel. Christine was very professional. The flights that were offered to us could have been better. But the pricing couldnâ€™t be beat. I had a good experience with Pavlus travel this year than last year. Very satisfied. Everything worked out exactly as we had hoped. Christine went out of her way and was very helpful to the point that she intervened when we were having transfer problems in St. Petersburg and got back with us to take care of it beyond what we had expected. Pavlus was very easy to work with–altogether a good experience. Christine was very patient with my many questions and indecision on when or what to book. We were extremely pleased with Pavlus and the rebate for part of the fare made it easy to step up from Viking to Uniworld. It was a wonderful cruise and I have handed our a few referral cards. No problems at all. Great trip. Great vacation for a great price! Christine is an excellent travel agent she is very efficient and responds to all our requests promptly. We have already recommended her to family and friends. Christine always responds promptly and gets the best deals for us. Very satisfied with Pavlus. Christine did a great job! Great! I recommended Pavlus Travel to those who do not use agency in our group. “Roof of the World” was an extremely well planned and executed trip by Viking for us. Some others did not make it to Lhasa. Our tour guide “Terry” was very competent and personable. Everything was carried out from getting our baggage picked up and to the airport early to giving us enough free time to see some of the more interesting parts of the old cities. We had no idea we would be so impressed with China. All the construction, efforts to control smog, attempts to keep green in the roadways and parks. Taking this trip will show one China from east to west and pretty much north to south plus include a 6 day calmer time on the Yangtze. The big sites for us were: Tiananmen Square, Forbidden City, Great Wall, Terra Cotta Warriors, Potala Palace, the Yangtze river cruise and the Three Gorges Dam. The cities of Chongqing and Shanghai have unbelievable lights on the buildings and boats at night. China is testing the future in many ways and this trip brings that out in a major way. We recommended Pavlus to many on the tour and have done so otherwise too. Very satisfied with Christine handling my booking requirements. She responds quickly and is able to handle to all of my questions, issues, changes, etc. The Tauck tour of Portugal and Spain was a delight. Lived up to and exceeded all expectations. Tour director Patricia Hunting was the very best Tauck tour director we have had and that is saying a lot because 3 out of the past 4 Tauck tour directors were excellent. Christine has always been so patient and helpful . She is a joy to work with and resolves concerns quickly. We enjoyed both our pilgrimage to Fatima, Spain and Lourdes and the Princess Spanish Passage cruise in October, 2017. Staff did a great job planning our vacation. Both Dianne and Christin were terrific guiding us through our needs. They were both thorough and professional throughout the process. Exceptional customer service. Christine was very helpful in answering our questions and forwarding the changes in return air times and flights. Very knowledgeable, courteous and prompt in communication. Give good recommendation. This was our first river cruise and we thoroughly enjoyed it. All arrangements were pre-planned making our trip worry-free. Thanks to Christine for setting this up and getting us a great price! Christine was an excellent communicator and responded by email or phone promptly. There were no glitches or questions unanswered when working with her. Everything went exactly as promised. The on-board credit, bottle of wine and excursion provided by Distinctive Voyages were a great bonus. Will book future travel with Pavlus and highly recommend them to anyone who books directly with a cruse line. Presents the options with the various tour companies very well to make the decision on which trip. Everything done well in setting up the trip When Globus cancelled the first tour date I scheduled Pavlus/Christine very quick to notify me and help me schedule a different date. My Travel Planner Christine pay very much attention to provide as much as possible information about the Tour and fallowed with me from very begining to the end to complete all document included Airfair. I received my check as well as it was promised. Very nice job Pavlus !!! Pavlus worked real hard with us to make sure our travel arrangements, going and returning, were exactly what we wanted. Everything went smooth and Christine made sure we got the cheapest and most direct flights. Others on our tour that did not work with Pavlus had some strange flight connections. We appreciated Christine’s care and attention to detail. We would definitely work with her again; and, would recommend Pavlus. Job well done in a professional manner. We were extremely pleased with our Pavlus service and our Viking trip. Thank you very much. I scheduled a Globus trip through Pavlus. At first I was concerned to not directly schedule with Globus and called them . However, I was able to purchase the trip for much cheaper through Pavlus. More importantly, I received excellent service from Christine from my initial quote to responses throughout the months before the trip. She returned all my calls promptly. Better yet, my friend who also purchased same trip through Pavlus at my recommendation felt that she had better service than others on our tour as she purchased her air tickets and additional hotel nights through Pavlus. Whether fact or not I am relieved that they had such a possitive experience. Thank you for helping make this one very memorable trip. I am already looking for our next adventure! Christine was more than great! Service was extremely fast and efficient. No issues at all and will use you in the future. Christine was very helpful to me in the whole reservation process and in making upgrades to my cabin when the prices went down. She was very courteous, pleasant, knowledgeable and responsive. I also appreciated the additional percs that were given me as my cruise was a Distinctive Voyage that Pavlus participates in. I was given a free shore excursion and a welcome cocktail reception through this program. Mostly the discounts; and working now with Christine is light years from the consultants I’ve had in the past. This trip was totally amazing. I was a little unsure what to expect in Russia, but the bigger cities were very cosmopolitan, clean, no litter, very little graffiti. It was a pleasant surprise and the guides we had were obviously proud of their homeland and seemed somehow “liberated” to be able to talk about all facets of Russia. Viking did their typically wonderful job with optional and included tours that were informative, fun and overall very good.